With the new smart meter rollout coming into play at the end of the year, there is a lot to be aware of. Here, we shall discuss the history of the government plans to roll out smart meters in the majority of UK homes. 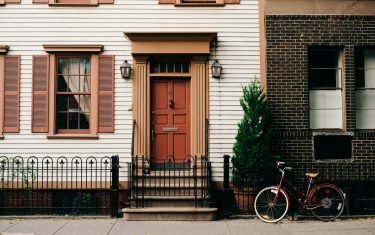 With the new smart meter rollout coming into play at the end of the year, there is a lot to be aware of. Here, we shall discuss the history of the government plans to roll out smart meters in the majority of UK homes. We shall also discuss the predicted date for the updated energy smart meter switch. Energy smart meters are advanced electricity and gas meters. They can offer a range of intelligent functions and can benefit many consumers, suppliers and networks. 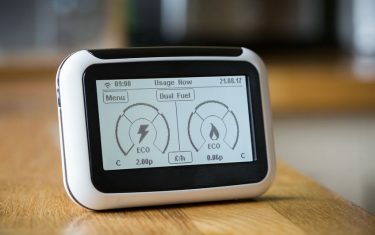 Between now and 2020, the government plan to roll out more than 50 million new energy “smart meters”. These will be rolled out to 30 million homes and smaller non-domestic sites across Great Britain. This policy is led by the Department for Business, Energy and Industrial Strategy (BEIS). It does not apply to large non-domestic customers. A smart meter is a gas or electricity meter that is capable of two- way communication. It measures energy consumption in the same way as a traditional meter. However, it has a communication capability that allows you to read data remotely. It will also display this data on a device within the home or transmitted securely externally. The meter can also receive information remotely. for example, it can update tariff information or switch from credit to prepayment mode. SMETS 1 Meters – These are the first generation of energy smart meters. They are compliant with the first edition of the Government’s Smart Meter Equipment Technical Specification (SMETS). SMETS 2 Meters – these are the second generation of energy smart meters. They are compliant with both the second and latest edition of the SMETS. They do not come with the issues that you would find in SMETS 1. Advanced Meters – These are smart meters that come with some smart functionalities. They are currently available to non-domestic sites only. They count towards the 2020 Government rollout target of 50 million smart meters. To meet the Government’s standards, they must at least provide the ability to store half-hourly electricity and hourly gas data. This information must be accessible by both the customer and supplier. Thanks to the Energy Act 2008. The Secretary of State had the power to begin a smart meter rollout. This rollout began in March 2011. It is composed of two stages. The first is the Foundation Stage. This took place from March 2011 to October 2016 and was designed as a transitory phase. In this time, the Government set the regulatory and commercial frameworks. Suppliers also began to roll out the early version of energy smart meters. In November 2016, the main rollout stage began to take effect and is due to end in December 2020. This is also referred to as the Installation Stage. SMETS 1 was only meant to be rolled out as part of the Foundation Stage from 2011 to 2016. However, there have been delays in laying out the necessary infrastructure for SMETS 2 meters. Due to this, they are currently still being rolled out as part of the main rollout stage. Now, the switch date from SMETS 1 to SMETS 2 will be pushed back a further two months. This comes after a government consultation. This means that the switch will not be made until December 2018. In some cases, SMETS1 haven’t been adaptable when a customer switches supplier. This does not mean to say that the customer is unable to switch suppliers. However, it does mean that their smart meter may not retain its ‘smart’ functions with the new supplier. Instead, it will become a traditional (or ‘dumb’) meter. SMETS 2 should have been rolled out with the launch of the rollout in November 2016. This is because they are supposed to be a solution to some issues with interoperability. The First trial SMETS 2 meters, however, were actually installed by British Gas in August 2017. It has been reported that some of the early SMETS 2 meters were replaced after installation. This was due to a lack of identified issues during testing. The government have expressed their concern regarding “the risks of a premature transition”. They have suggested that further delays are possible. Smart meter training should be an essential addition to those who wish to pursue a career in gas or electrical engineering. With the high demand for smart meter installers, this is a wonderful career opportunity! Whatever your background, ECTA is here prepare you for a new career as a smart meter installer. To find out more about the training we provide, get in touch.